A key feature of the 21st century is undoubtedly the increased flow of goods, ideas and people across geographical, cultural and political boundaries which has led to new dynamics and ever more complex forms of interconnectedness. 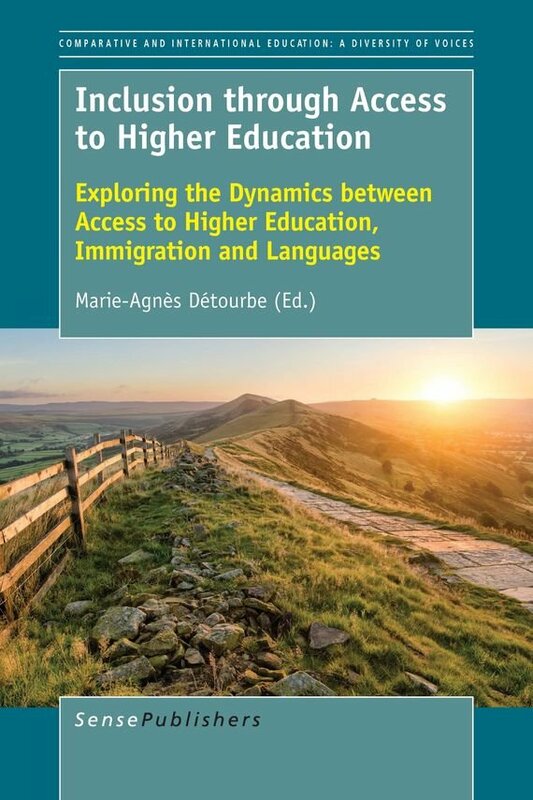 In this context, the inclusion of people on the move through education is a central issue which this book addresses in an original way: it combines three extensively, yet often separately studied themes – namely access to higher education, immigration and languages. Written by both established and new researchers, the studies which make up this interdisciplinary volume shed light on the complex political, social, and cultural dynamics at play between the three dimensions in different settings. Drawing on the specific stakes related to higher education, the tensions between barriers and opportunities for (future) students such as immigration regulations, language policies and internationalization strategies are analysed and confronted with less visible yet powerful logics such as personal and professional aspirations, cultural identities or family priorities. Decades after many national higher education systems strove to widen access internally to under-represented groups, this book offers new international comparative insights on the way higher education can meet external demands from people experiencing chosen or unchosen displacement, while taking hold of the specific challenges raised by their linguistic and cultural diversity.